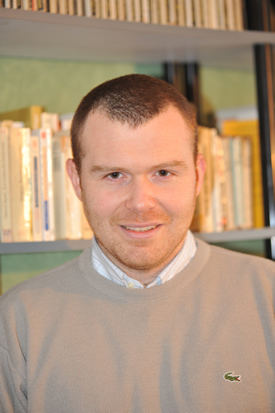 Julien Zarifian is Associate Professor (“Maître de conferences”) in American Studies at the University of Cergy-Pontoise, France, and Researcher with the CICC (“Civilisations et Identités Culturelles Comparées”), University of Cergy-Pontoise. He received his Ph.D. in Geopolitics from the French Institute of Geopolitics, Paris 8 University, in 2010. His Ph.D. dissertation dealt with US foreign policy towards the South Caucasus (Armenia, Azerbaijan, Georgia). His current research involves the US policies in Eurasia and the role of ethnic lobbies in the making of US foreign policy. He has published many articles on these topics, in French and international academic journals. 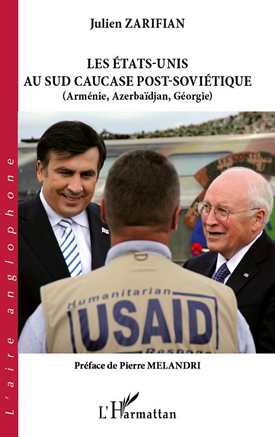 This interview concerns a French book, “Les Etats-Unis Au Sud Caucase Post-Soviétique (Arménie, Azerbaïdjian, Géorgie)”. My book focuses on the different policies led by the US in the South Caucasian region, since the independence of Armenia, Azerbaijan, and Georgia from the USSR in 1991. It first studies the specificities and importance of this region from a US point of view, and then describes and analyzes the different US policies. This latter part is the longest of the book and is divided into five chapters that correspond to five major categories of policies I identified: financial assistance; democracy promotion and support; economic and energy policies; military and security; and involvement in regional conflicts resolution. The book aims first at understanding the significance of a region like the South Caucasus from a US perspective. Then it seeks to establish whether there has been such a thing as a “US grand strategy” in the South Caucasus. Then it seeks to evaluate the coherence, consistency, and overall effectiveness of this possible strategy, or of the different policies led by the US. Finally it also aims to evaluate the evolution of the US South Caucasian policy, in trying to figure out whether there has been major changes or, on the contrary, mostly continuity, between presidents Bill Clinton, George W. Bush, and Barack Obama’s South Caucasian policies. I have sought to answer these questions by conducting extensive research in Washington DC and in the South Caucasus. Moreover, I have critically analyzed official documents related to the topic and the interviews I did with political actors. While researching and writing the book, I also kept in mind the geographic aspect of the US policy in the South Caucasus. I think I have shown that Armenia, Azerbaijan, and Georgia were first and foremost considered, in Washington, as a territory. The main findings are threefold. Firstly, I realized that the geopolitical importance of the South Caucasus, particularly from an American perspective, tended to be over-evaluated: It is real, but not absolutely central or vital, as some observers have tended to put it or imply it. Secondly, at a time where US foreign policy was quite negatively perceived all over the world, and at a time where its legitimacy and effectiveness were openly questioned, mostly because of president Bush’s “Global War on Terror,” US policy in the South Caucasus happened to be quite effective, quite moderate, and even, according to my study, quite smart. Thirdly, whereas academics and journalists represented, most of the time, Bill Clinton, George W. Bush, and Barack Obama’s foreign policies as quite different, I observed that, in the case of the South Caucasus, they were quite similar. I do think this book offers a lot, because the topic had never been dealt with before. From an “Americanist” point of view, the South Caucasus case shows US foreign policy in another light, never explored before. On the side of South Caucasian and post-Soviet studies, the book depicts and analyzes how a new actor, not familiar with the region where, traditionally, Russia, Turkey, and Iran are the main geopolitical players, succeeded in gaining some influence and in contributing to shape a new geopolitical deal. I have always been very interested in the politics and geopolitics of the US, on the one hand, and by the politics and geopolitics of Armenia and South Caucasus, on the other hand. In 2004, after an extensive stay in the US immediately followed by another quite long stay in Armenia, I started to cross my two topics of interest and I realized that there were quite sustained relations between both countries and, in fact, a quite sustained US policy in Armenia. Therefore, I decided, with the agreement of my advisors, to study this topic for my Ph.D. in geopolitics, at the French Institute of Geopolitics, University Paris 8. I successfully defended it in 2010, and this book is a shortened and revised version of my Ph.D. dissertation. I think many themes and questions I study in this book would deserve more study. To start, the security and military aspects of the foreign policy of the US in the region could be more analyzed. The same applies to the financial assistance provided to the three South Caucasian republics (and particularly to Armenia and Georgia). I am also particularly interested in the role of lobbies in the making of US South Caucasian policies. I have already started to research and publish on this topic, and I think I will continue to do so in the future. The issue of the determinants of US South Caucasian policy is also of major interest and would probably deserve more research.